My whole wedding situation was a disaster. We were scheduled to get married in May. Construction on the church where our ceremony was to be held went wayyyyyy past its deadline and we soon realized that venue wasn’t going to work. But we had this nonrefundable honeymoon booked for which we had to be married in May. So we decided to have a small, quick wedding to make things official (so we’d be all set for the honeymoon vacation in May.) Then we moved the public ceremony to September so we could still celebrate with our family and friends, and my dress would get to have its day. Problem solved, right? Wrong. In the midst of all this, there were behind-the-scenes things happening, including leaving our church for a new one (which didn’t make some folks at church #1 very happy.) The construction at church #1 was still taking too long, and every time we checked in with them (and someone actually called us back) we were assured everything was just fine and there would be no problem with the fall date. Come to find out, two weeks away from our (already postponed) wedding ceremony, the church was still not finished. There were other issues as well, that need not be aired now, more than a decade later, but the bottom line was that our wedding ceremony was obviously not going to happen. We ended up having to send out postcards thanking everyone for caring about us, reassuring them that nothing had happened between us and that we were enjoying our first year of marriage, but that we would able to celebrate with them due to unforeseen circumstances. Talk about sad. The whole thing was awful, emotional, and a waste of money already spent. I now had this beautiful wedding dress, veil, shoes, handmade bouquet and flower arrangements, etc… that would never get used. It was a bit depressing, but at this point it barely mattered. I was married, happy, and just had to get over it. I couldn’t return my dress, even though I’d bought it right off the rack because it fit me perfectly with no alterations. But in wedding-dress world you pretty much can’t return anything, ever. I didn’t know what I was going to do with that thing, because I definitely didn’t need it any longer, but I just couldn’t bring myself to get rid of it. A couple of years later that dang dress was still hanging in my closet, untouched. I’d recently met a gal named Amanda. She and her fiance had started teaching in the kids’ ministry where I worked, and I’d started to get to know them a bit through our interactions there. They were good people, I could tell. When she started talking about needing a wedding dress, I somehow mentioned that I had one she was welcome to try on. The conversation eventually led to me saying If you wear a size 8/9 shoe you’re welcome to those too! Turns out that’s exactly what size shoe she wore. She tried on the dress. It fit. Along with all the undergarments and the shoes. Now Amanda and I are built somewhat similarly, but she is several inches shorter than I am, so I figured even if she liked it, it would need some serious alterations to work for her. But somehow, that off-the-rack dress that was perfect for me actually fit her perfectly without changing a stitch. I still believe that was a little tiny miracle just for her. So there it was… my dress our dress was about to have it’s day. Now I knew exactly why I’d been hanging onto it for those years, never feeling right about trying to sell it or give it away. It was never really mine to begin with, I was just holding on to it for her. At the end of the next October, I got to see that dress in action. It was as beautiful as I’d imagined. Not only did my friend look gorgeous in the dress, but their ceremony was classy, understated, and moving. Her husband Adam gave her daughter Aaliyah a necklace to wear as a symbol of his love not just for her mom, but for her as well. There wasn’t a dry eye in the house. They became more than a couple that day. They became a whole family. 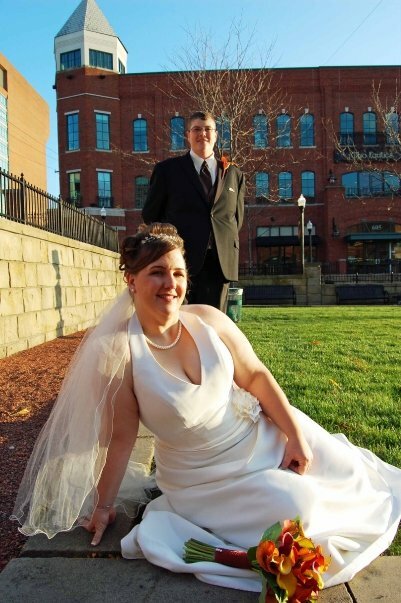 To this day, Adam and Amanda’s downtown winery wedding is my all-time favorite. The dress gave us a story that would forever link us together. How can you not be each other’s People with that kind of history? But that was just a start. We got to know Adam & Amanda better over the next several years, and now she is one of my very best friends. Not too long after, we found ourselves in a small group with Adam and Amanda, and apparently they haven’t gotten sick of us yet. Amanda and I are 77 Sisters. We were born about 6 weeks apart in 1977. 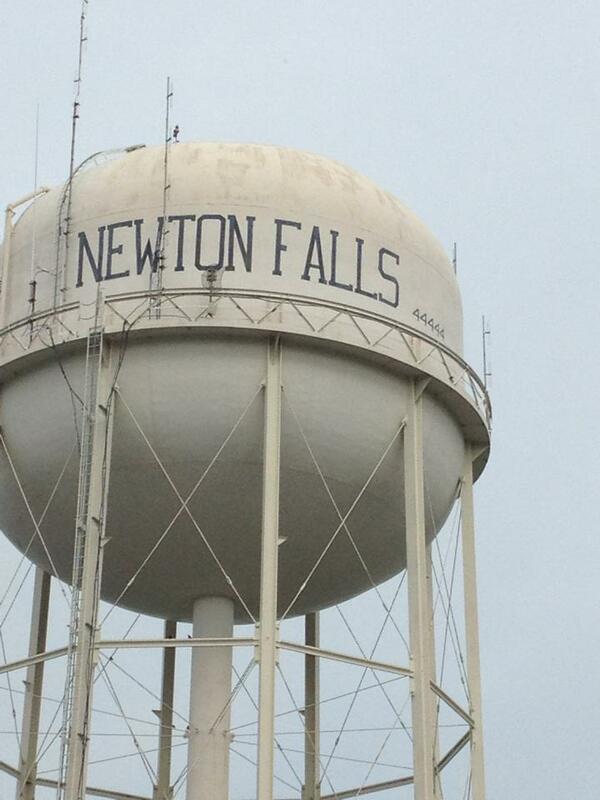 She comes from a small, quaint little town called Newton falls. And people, the zip code there is 44444. All 4’s. So that means that the 4th of July is kind of a really big deal there. (Get it? Spend the 4th in the 44444?) Our friends and I had heard so many stories about the 4th in the 44444 that we wanted to check it out for ourselves. It turned out to be just as much of a small-town delight as we always imagined it would be. So much fun. Amanda has a freaky-weird luck when it comes to winning things. Especially when the winning happens from a radio station. When she starts dialing, she must say some strange spell or something that jams all the telephone lines except she one she’s calling from. Seriously, it’s like contest voodoo. She’s won more concert tickets (and stuff in general) than anyone I’ve ever known. Once she heard that Bon Jovi would be coming to town. She asked me if I would want to go if she won tickets. Of course, because BON JOVI. It wasn’t too long after that, she called to see if I was free on such-and-such date because she had JUST WON TICKETS TO SEE BON JOVI and we were going. Whattheheck!?!?!?!? File that under one of the best surprises ever! We rocked the heck out at that concert. I will never forget dancing like a couple of teenage fools while singing along to Bad Medicine at the top of our lungs. File THAT under one of the all-time best days ever! We both barely had a voice for a couple of days afterward. And PS: Jon Bon Jovi? That man’s still got it. Amanda is a genuinely wonderful person. She’s got a big heart and she is moved to tears over more things than she’d care to admit. She’s one of those folks who would give you anything of hers if you ever needed it. She goes out of her way to make people feel special, even though she probably doesn’t think that about herself. She also loves everything Amish. It’s kind of a weird obsession. She’s a fan of local and handmade stuff the same way I am. She knows every song lyric to anything that was ever on the Top 40 Countdown for sure. Same with lines from movies. We’ve been on many road trips and overnights. She was there when I asked a perfect stranger for a piggy-back ride (and he obliged.) She and her husband made certain I wasn’t kidnapped by some creepy folk while I was momentarily inside their ice cream truck. We’ve witnessed crazy things at the Renaissance Fest. We’ve made plans a year in advance to see the Hunger Games movies as they’ve come out. 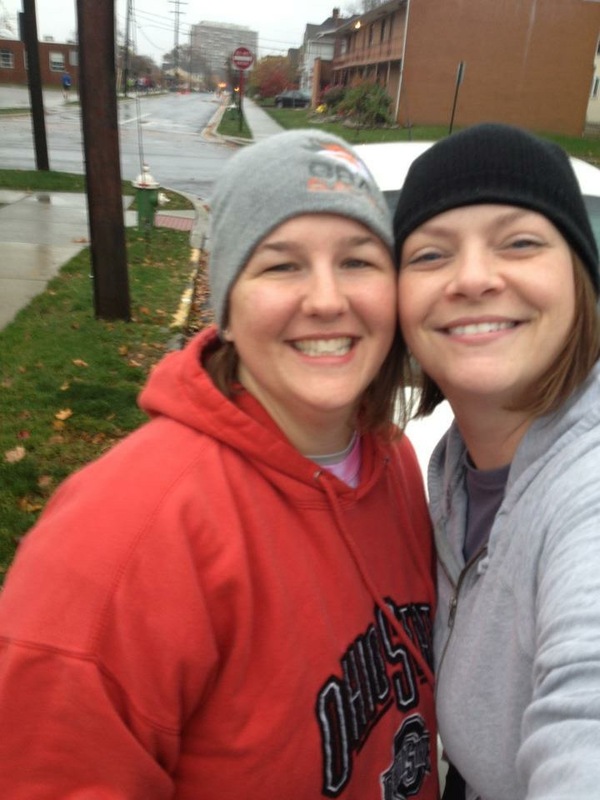 We’ve run races together. 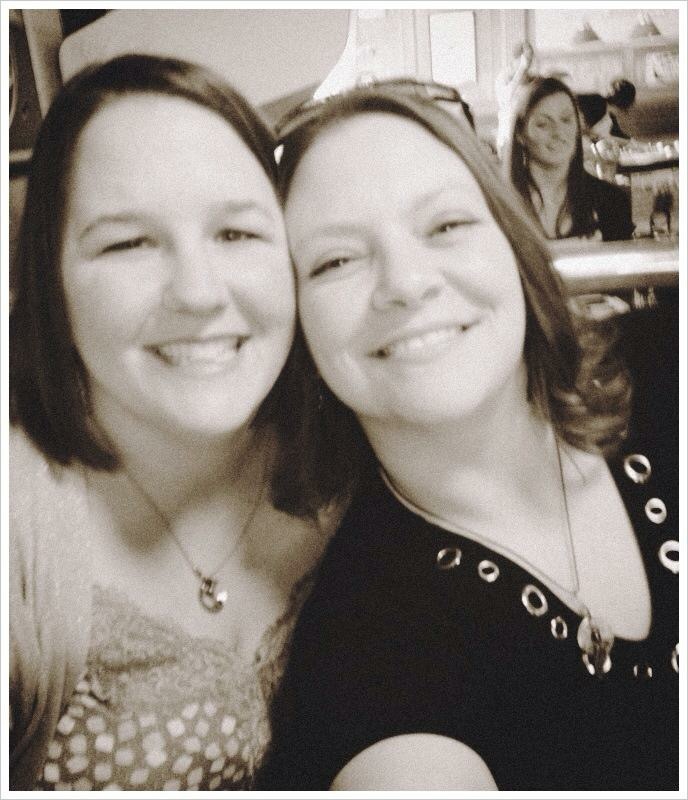 We’ve been to countless parties and important gatherings together. And we’ve talked each other through some pretty hard stuff. Solicited advice from one another about life and marriage and finances and friendships. We’ve created more inside jokes in the 7-8 years we’ve known each other than most people have in a whole lifetime. This is the stuff that relationships with Our People are made of, my friends. These stories and memories and conversations and inside jokes, they are the moments that make life…life. They are the things that stitch together our individual lives to make our very own little communities.